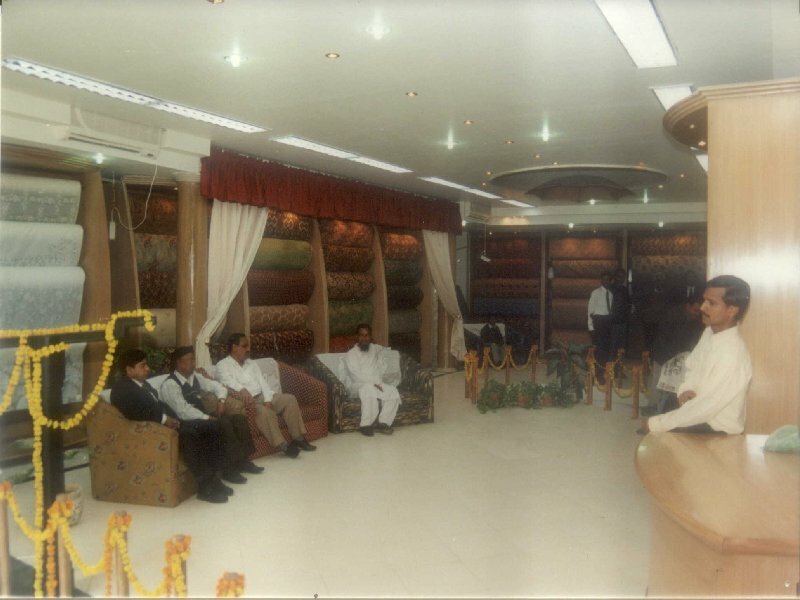 opening day photograph of Showroom at Moulviganj. In the back ground are visible the entire range of furnishing and upholstery fabrics from vimal, part of the harmony range. This photo taken from the Rightfront corner of the showroom gives a panoramic view of the upper ground floor with the reception desk & cash counter visible in the lower right corner.